Rico Tice has done it again. Coupled with the on-line seminar on the same subject, this is an excellent resource and encouragement to "get out there" and share our faith. 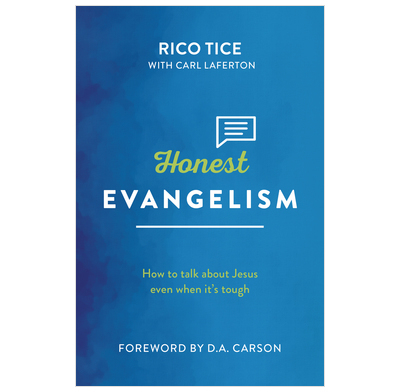 I read this book because I find it really hard talking to friends and family about Jesus. I was gripped from the beginning when I was told, 'It will be painful, you will get hurt, lose friends, be mocked, ridiculed and rejected. This is the norm! We are sent as sheep among wolves'. You see I thought when this happened I had got it wrong and wasn't very good at it. Noone had ever said this to me before, except as the authors pointed out, it's all over the New Testament! They continued to unpack this truth with encouragement, suggestions and a way forward in this very aggressively antichristian culture we live in. I feel so much better equipped and encouraged to go out there and speak up for Jesus. I needed to read this book.